Different shoots call for different cables, which is why gaffers and grips prefer BarnDoor Lighting for all their electrical needs. We carry a wide selection of stingers and extension cords to power your film shoots, whether you're in the studio or on location. You can also use these heavy-duty power cables and cords for stage productions and other lighting needs. 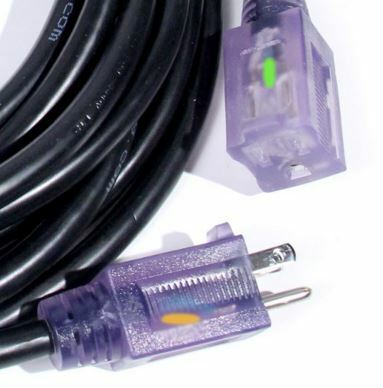 This collection includes the parts needed to build extension cord stingers, including Bullet cable ties, 12/3 stinger cable power cords and more. Shopping at BarnDoor Lighting guarantees a great selection of quality products at competitive prices, along with friendly, expert advice. At BarnDoor Lighting, our customers' trust and loyalty is our top priority, which is why we pride ourselves on providing that hard to find, good "old-fashioned" personalized customer service you won't find anywhere else. Our friendly, knowledge staff are available to help, so don't hesitate to give us a call at 1-888-276-3667 or send an email to info@barndoorlighting.com.